Have trouble with fullscreen gaming on Linux/Ubuntu? 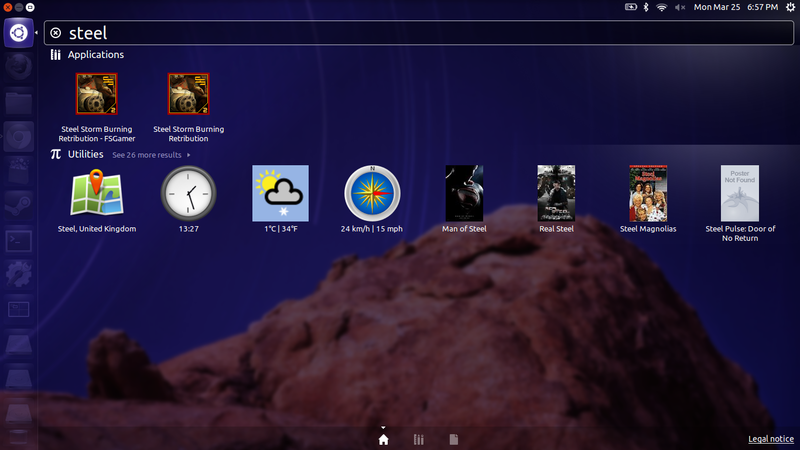 Try FSGamer for Linux. FSGamer is an opensource utility that runs games in its own X server, which can improve the speed, reduce annoying interruptions, and make switching between fullscreen games and your desktop easy and reliable. FSGamer version 0.1.1 has just been released and it seems to have squashed a number of annoying bugs and is working fine with Steam games now. One can easily switch between the game and your normal desktop using Ctrl+Alt+F7 to get back to your desktop, and Ctrl+Alt+F8 to get to your game. 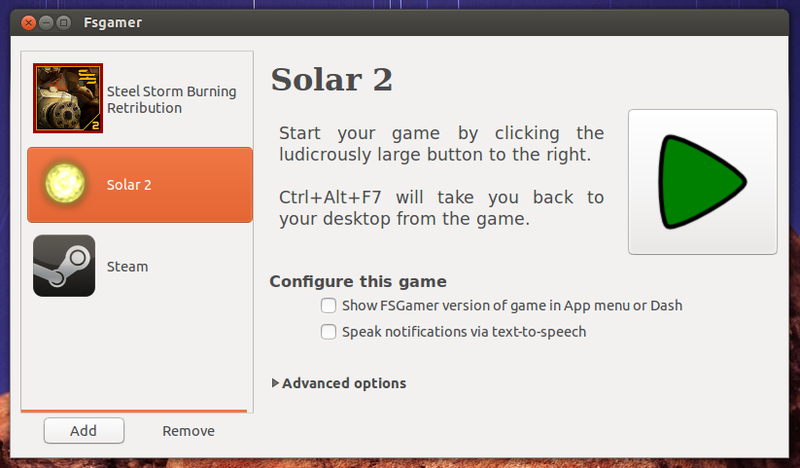 Game might run even faster, especially if you're on Ubuntu 12.04 with Unity desktop. If the game crashes the X server for some reason, it won't affect your other applications. Even games that allow switching back to other applications sometimes mess up when you restore their size, or take a while to minimize, or have various other issues with full screen such as the menu bar appearing over them. A separate X server will always be full screen with no fuss. Solved multi-monitor support by adding ability to specify custom xorg.conf. Works with Steam games now. You can even add Steam client as such. Dependencies properly listed on DEB package. 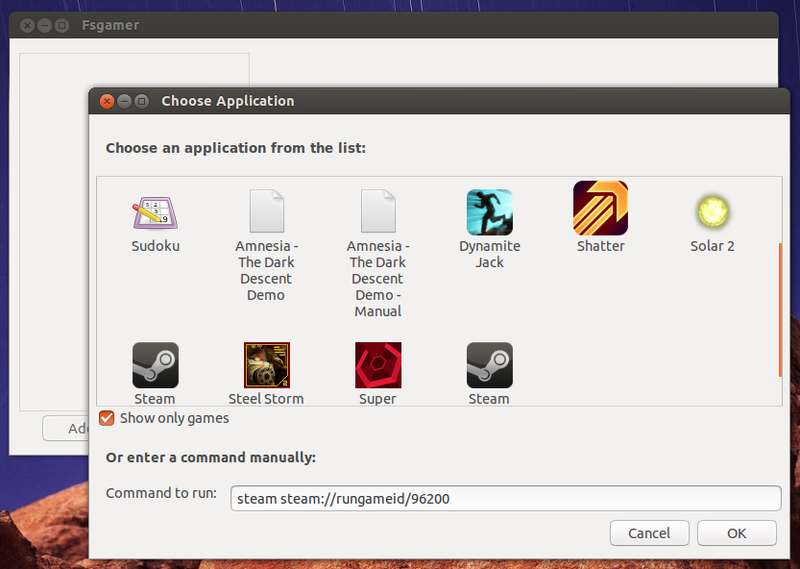 How to Install FSGamer in Ubuntu? Disclaimer: FSGamer is still alpha-quality software and it might crash and cause problems every now and then. You've been warned. Either you double-click on it and Ubuntu Software Center will do the rest, OR you could use command-line method (which I prefer more). Make sure that your path-to-file is exactly as it is. (Tip: use TAB completion for a perfectly error-free command). Running above command will give you dependencies error. Do the following then. Done. 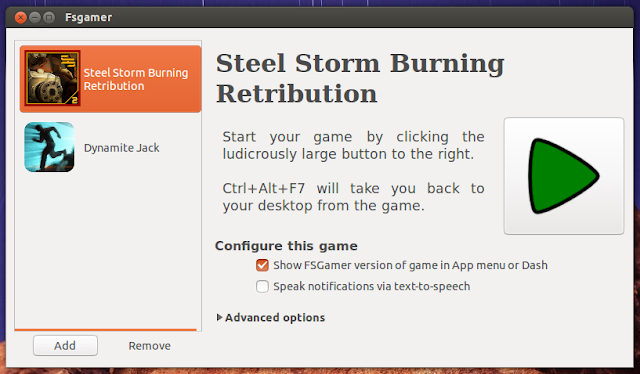 FSGamer is installed in Ubuntu. Now, allow FSGamer to start extra X server. Do the following in Terminal. Finally, allow audio to work in the new X server. Restart the system and you're ready to go! NOTE: There seems to be no alternative RPM or AUR packages of FSGamer available at the moment. Which means, if you're using flavors of Linux other than the ones based out of Debian, you're out of luck. Make sure you follow this reddit thread for updates. Run FSGamer from Unity Dash and click on the Add button. Add the games you want to run on a different X server. You can even add FSGamer version of the game to the Unity Dash. See FSGamer project page for further reading.